Caltrend’s toughest Camouflage Seat Cover yet. Rugged and durable, these premium-grade, heavy duty seat covers feature a lacquered topcoat for stain, water, grease and abrasion resistance, while keeping a soft comfortable feel. Precision cut and custom tailored to your vehicle’s seats for a glove-like fit and easy installation. 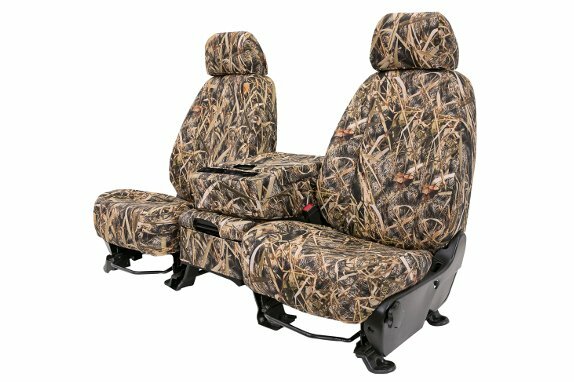 Available in 2 color patterns, each seat cover includes a complete row of seats, headrest, armrest and console covers where needed. 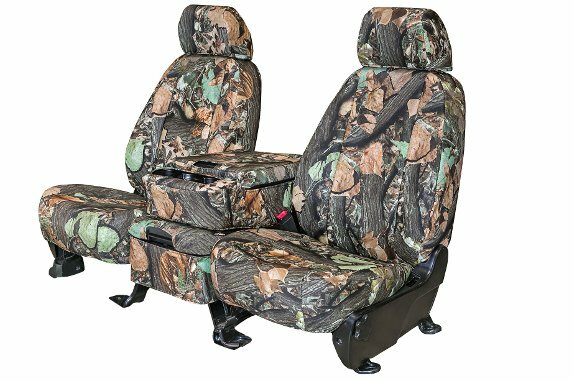 Made-to-order, Tough Camo seat covers are manufactured exclusively in the USA, ensuring consistent quality and fast turnaround. Needing premium protection for a rugged lifestyle? Try Tough Camo!